The new commercial for the Droid X launched earlier through Verizon’s Youtube channel and as the day progresses, readers keep pointing out more and more goodies that are hidden deep within it. 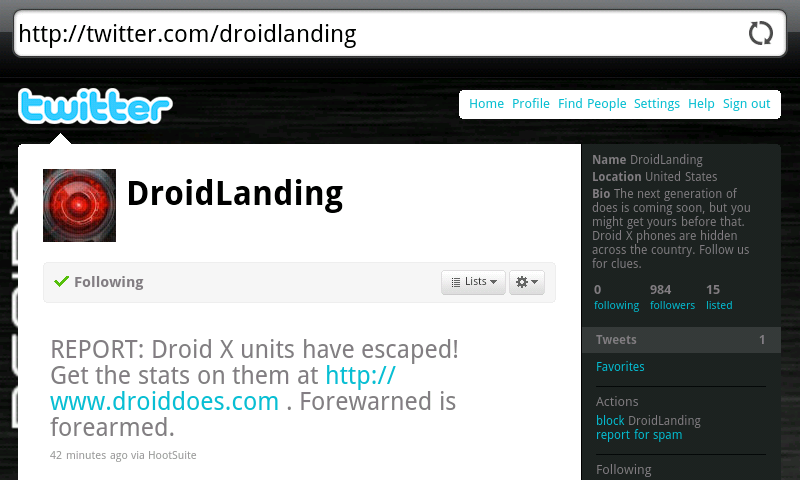 It appears that Verizon is really going to blow this device up by starting a nationwide Twitter scavenger hunt for hidden Droid X devices. Yep, just by following this new Twitter account, you’ll have the chance via clues to find a free Droid X. Stay tuned!